Join us for our Gingerbread Build! 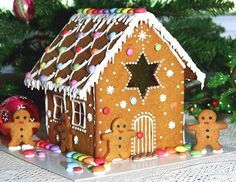 Stop by the Unifor 112 Hall on Saturday December 16th from 11 AM to 2 PM, to decorate a gingerbread house and cookies. The Unifor Hall is located at 30 Tangiers Road, North York, ON M3J 2B2 (look for the TCBN balloons as you enter the parking lot). Please enter the parking lot and take a ticket. TCBN will provide you with a parking pass so you can exit for free. Park in the spaces immediately on your right as soon as you enter the parking lot. After you have completed your gingerbread house, feel free to head over to the new Finch West TTC Subway Station (located at the intersection of Keele and Finch) for an exclusive pre-opening tour. For questions and inquiries please contact Ka'ren Feder at kfeder@communitybenefits.ca.